Toyota on Front | Richard Ziegler Architect Inc.
Due to “residential” development pressure, “Toyota on Front” was required to relocate to a new downtown site. 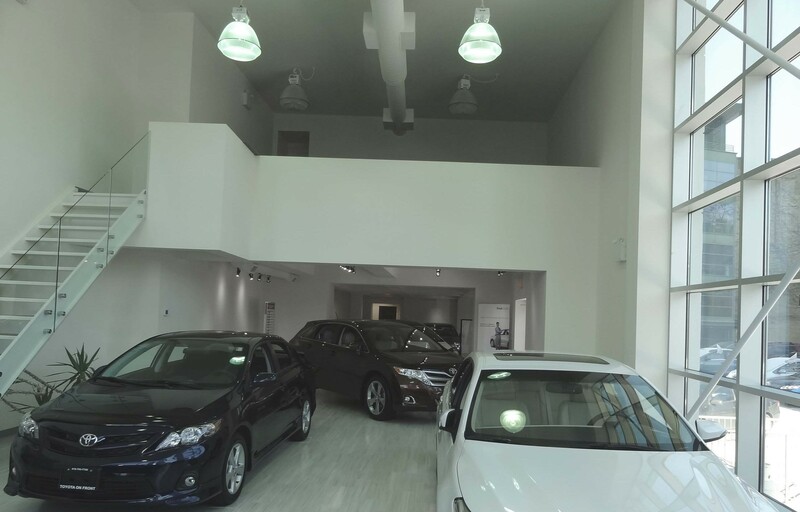 The Downtown Automotive Group leased the building adjacent to their existing “Scion Downtown” Facility in the summer of 2012 with the intention of constructing a “temporary” – 3 year dealership. We were retained to work closely with the contractor to fast track the construction. 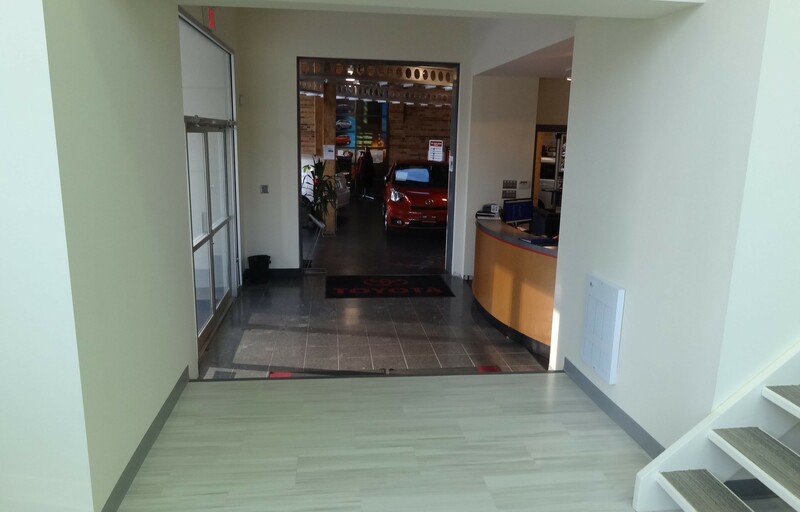 The design included a combined service reception area (with Scion Downtown), 2 quick service bays and an off-site service and parts facility (462 Front Street West). 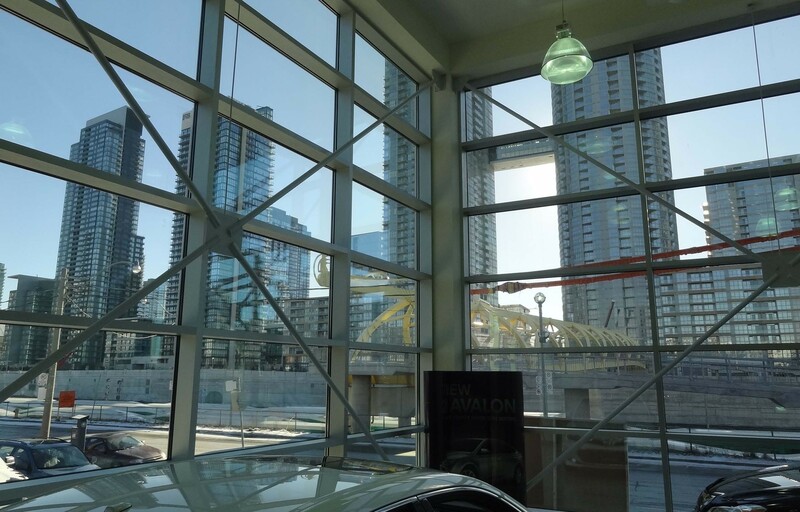 Construction started September 2012, with Occupancy January 04, 2013.